← Essential oils – therapy or perfumery? 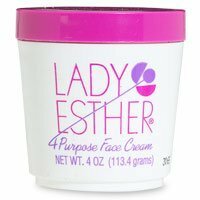 When I was a child, already at a small age, I was absolutely fascinated by all the pots and bottles the ladies had; lotions, perfumes, creams and make-up. 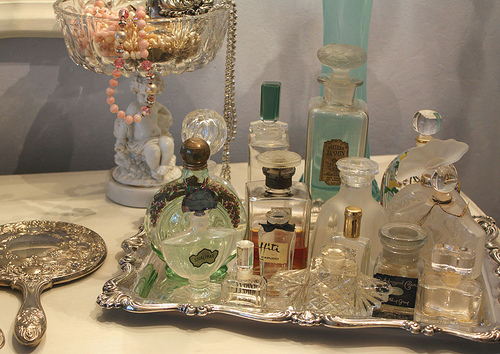 I wanted to know how they were made, these lovely-smelling potions and I was blown away by beautiful jars and bottles. I experimented with flowers in different concoctions to make a cream or perfume which of course never succeeded, but I always had a feeling that the elusive answer was just around the corner. As with many childhood dreams, I forgot all about it, but my fascination was still there and I would buy products for skincare and make-up. Finally I ended up never really using the stuff. I liked the idea but I’m not a make-up-kind-of-girl. Since early 80’s I have been looking at skincare from another point of view; natural. I experimented with natural ingredients and it was fun. I can’t say exactly when it became more than a hobby, it’s always been there. And that is what I realized the other day; This was a childhood dream that I forgot and now I am living it. I remember this feeling of fascination in me and I can’t believe I ever forgot it. This entry was posted in Inspiration, Life, Musings and tagged beautiful bottles & jars, beauty, elusive answer, experimenting, fascination, flowers, lotions, perfumes. Bookmark the permalink.